I have been trying to set up my options for fontconfig. 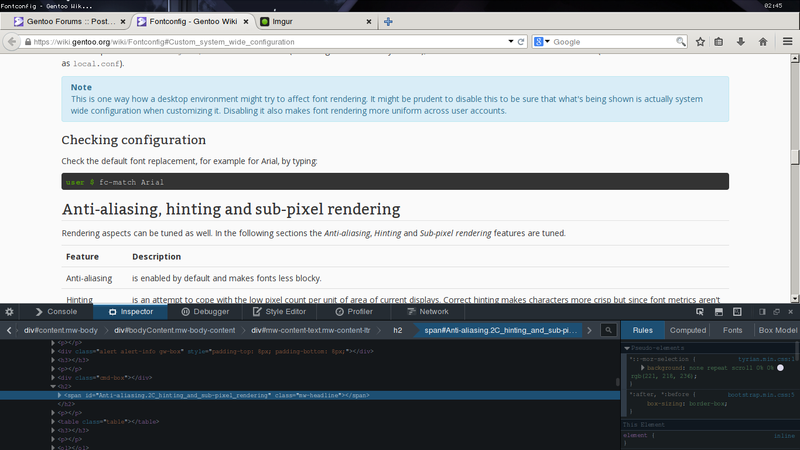 Everything looks fine, but small fonts are displayed weirdly (i.e. they are too thin/hardly visible). Notice the developer tools and the code tag on the wiki? It looks very dark compared to the rest of the page. On my Windows computer, the characters are visible very well, they appear clearer and brighter than in this screenshot. Does someone know what option I could set to make it display small fonts better, or less crisp? I tried playing with removing sub-pixel rendering and changing the filter and the hinting style, but to no avail. Check your firefox font settings. 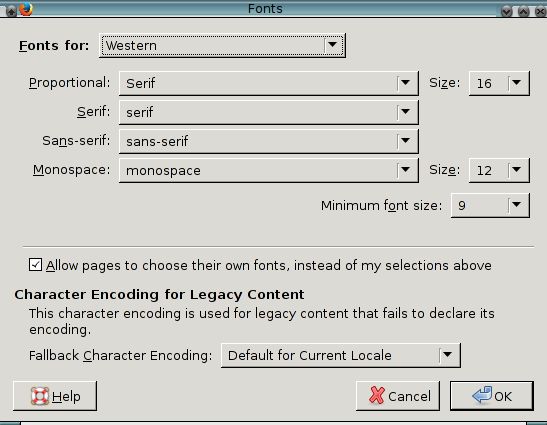 This will set the prefered font for monospace fonts to ubuntu mono.